Joseph is one of the most motivating coaches that we have had the privilege to work with at the ATC. He epitomizes our tag line #Relentless. Our pro athletes along with our adult Regular Joe’s who aspire to greatness absolutely love his classes. Without doubt, Joseph’s classes are tough. But if you attend on a regular basis we guarantee that your fitness level will increase dramatically. The same holds true for your leg strength and explosive power. 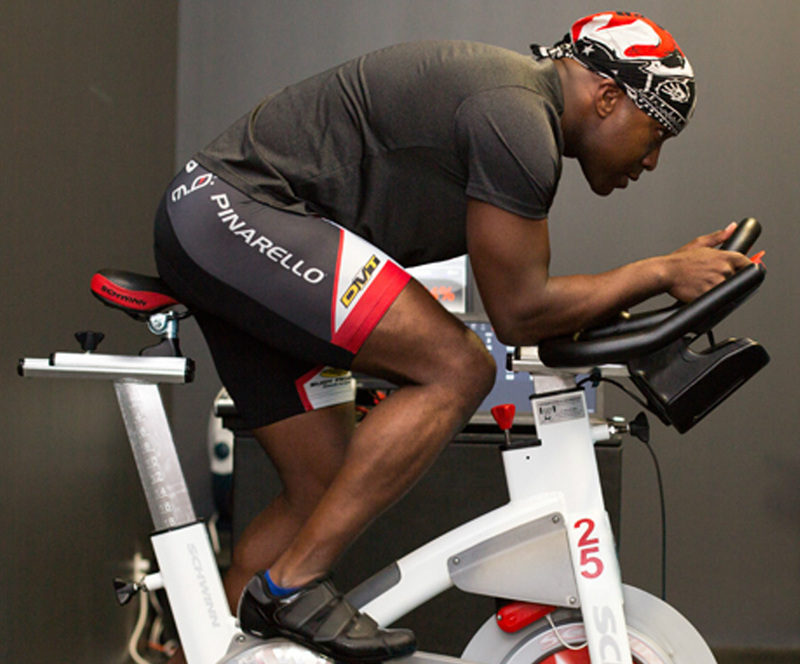 Joseph makes full use of our Performance IQ software that is on display to all cyclists. He is constantly motivating all to hit higher power (watts) output, increased speed (km/hr) throughout his training sessions. In addition to instructing Joseph is a Black Belt in martial arts, runs marathons and is a triathlete.